Ewing Athletics drops trio of Spring-themed sneakers. 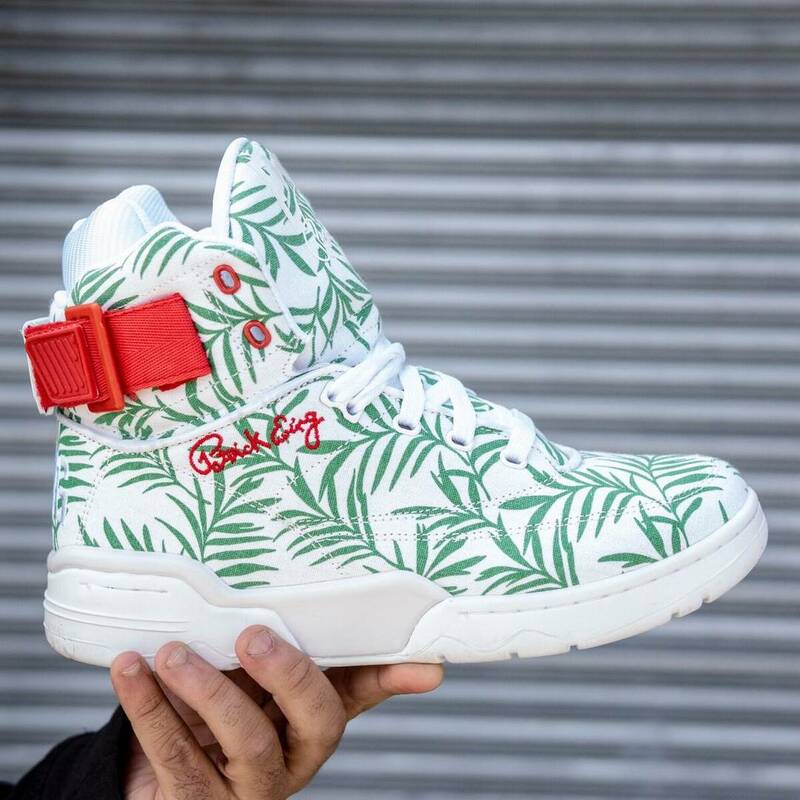 Coming on the heels of the limited edition Ewing 33 Hi x Death Row Records collab, Ewing Athletics has just dropped a colorful assortment of Spring-themed sneakers, including two Ewing Rogues and a special edition Ewing 33 Hi that nods to 4/20. 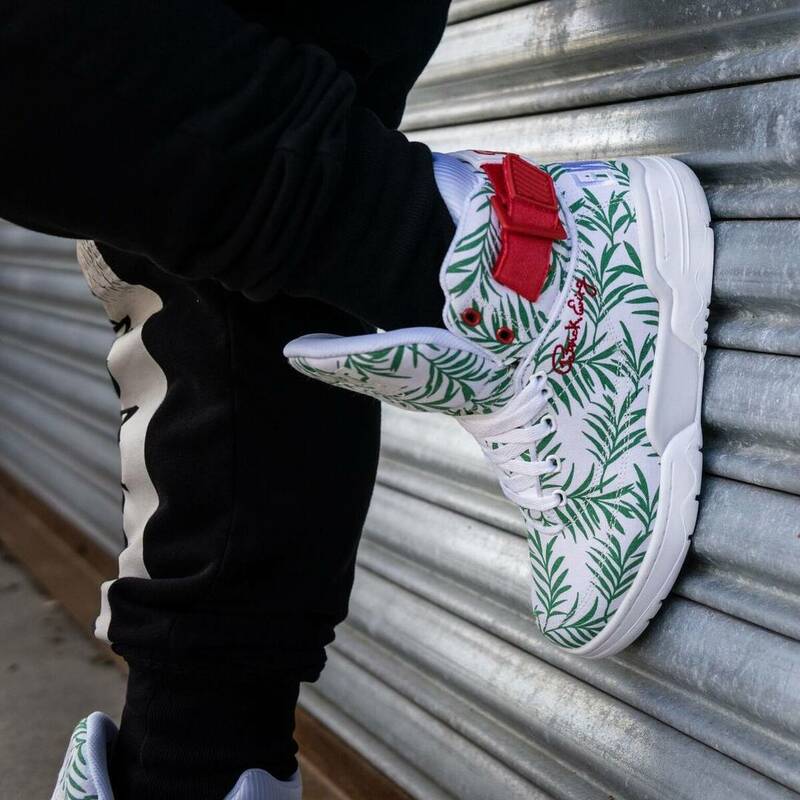 Inspired by the unofficial holiday taking place next Saturday, the Ewing 33 Hi comes equipped with a leafy, green pattern strewn throughout the white canvas upper. The kicks also come equipped with red accents appearing on the eyelets, Ewing signature and ankle strap. 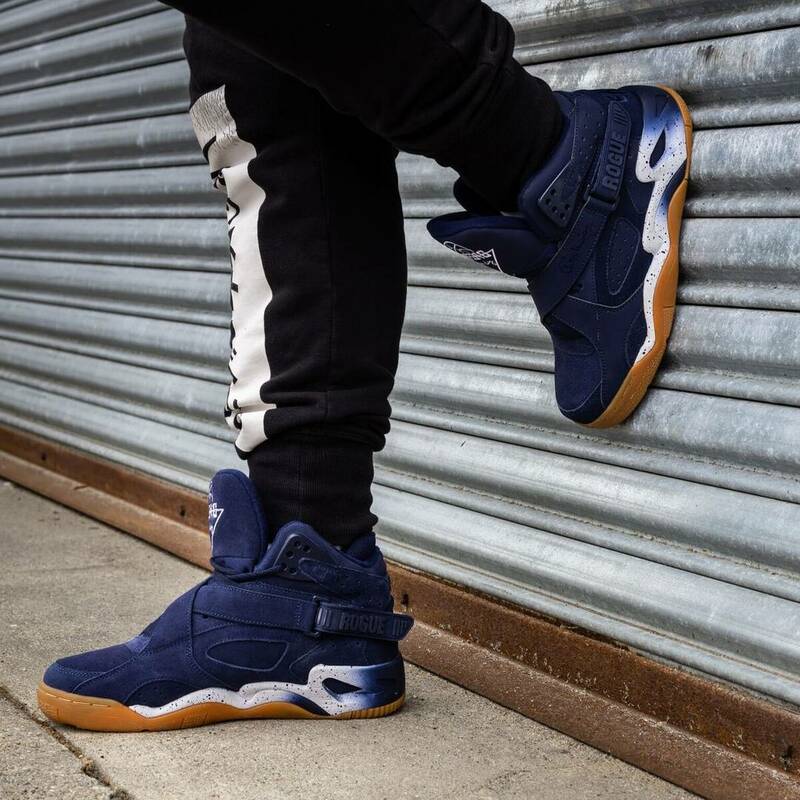 Ewing Athletics' Spring collection also includes two different colorways of the mid-cut Ewing Rogue. 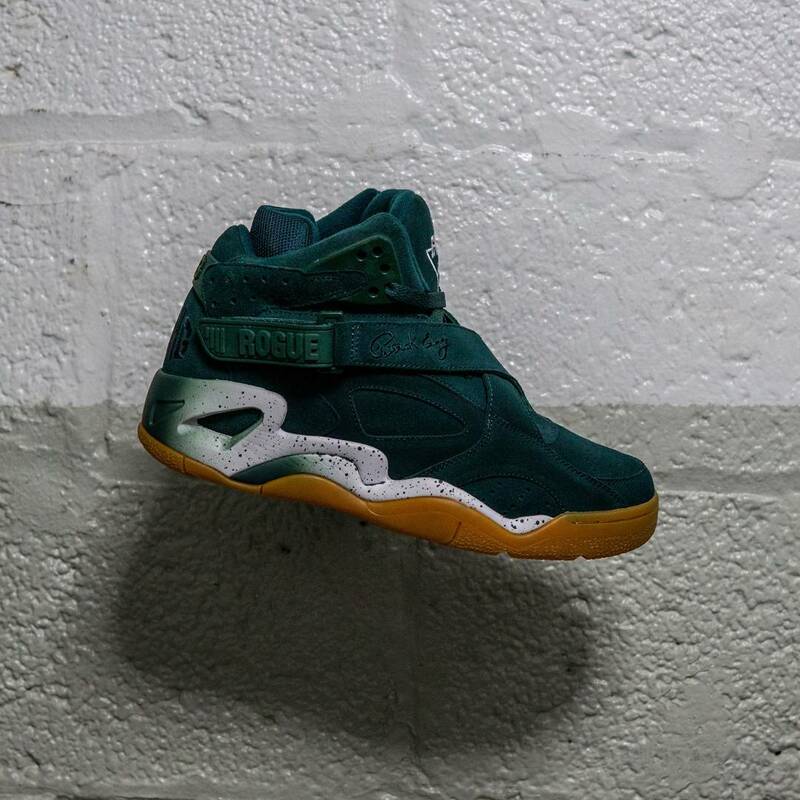 Dressed in a plush suede with speckled midsoles and timeless gum outsoles, the latest iterations of the Ewing Rogue come in either forest green or navy blue.